Orlando is one of the world’s fastest-growing cities. It is among Florida’s major cities and is a center for digital media and bio medicine. The City has the 9th busiest airport in the U.S. and is warm and sunny all year round. 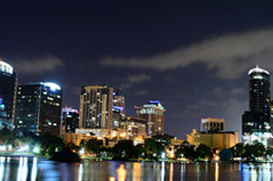 Orlando is a diverse real estate market with myriad neighborhoods, architecture, and cultures. The city itself is large enough to cover all kinds of great opportunities you could only find within Orlando real estate. Living in Orlando gives you everything you’d expect from a premiere city: world renowned entertainment, excellent educational opportunities, career prospects with many leading companies, and a great environment giving the city its nickname as “The City Beautiful” for reasons obvious to its visitors and residents. Orlando is a city on the rise with various urban renovation projects always popping up, great attractions known throughout the world over, and some of the best resorts you’ll find in the world. Orlando real estate has it all when it comes to choices, and Bustamante Real Estate are situated perfectly to help you find exactly what’s right for you. So, what happens if the city and its many beautiful parks and entertainment opportunities aren’t enough? It’s less than an hour away from the Atlantic Beaches, an hour from the Gulf beaches, and its beautiful parks and golf courses will never let you forget why it’s one of the most visited cities in the world.